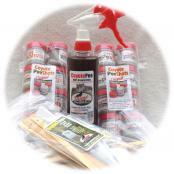 100% Pure Coyote Urine in liquid or Yard Cover Shakin' Flake granules from Predator Pee. In the wilderness coyotes are a most voracious predator, and coyote scent will terrify many smaller animals. So when you want to get rid of deer, raccoons, possums, rats, groundhogs, gophers, iguanas, etc., coyote urine is a most effective natural repellent and deterrent. Coyote Pee stops these pests from eating your garden, damaging your yard, chewing on your shrubs, ornamentals and flowers. It also keep pests like rats from getting into your house. One of the biggest reasons people have been buying Coyote urine from us since 1986 is that the deer problem is huge everywhere. Coyote Urine is not a synthetic chemical or pesticide, Coyote urine is just real, natural pee right from the coyote. 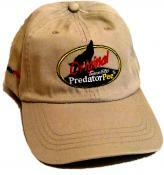 It is the only organic, all-natural deer deterrent and marmot repellent. Yard Cover Shakin' Flake coyote urine granules are especially useful in gardens where digging pests like groundhogs and gophers can be a real annoying problem. 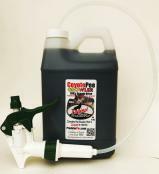 Get rid of deer, raccoons, rats, groundhogs and more with coyote pee for sale from PredatorPee Store! 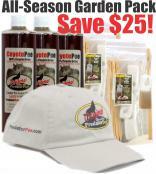 CoyotePee All Season ScentTag Garden Pack – Protect your garden for up to 5 months against deer, woodchuck, groundhog, raccoon, rat, gopher, possum with our Coyote Urine All Season Garden Pack. It contains 3 – 12oz bottles of Coyote Pee and 2 ten packs of ScentTags and a Free PredatorPee® Hat! Total Retail Value: $114 – Your Cost: $89! 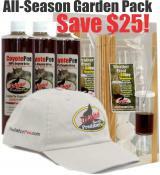 Coyote Urine All-Season Weather-proof Dispenser Garden Pack- Save $25! CoyotePee All Season Weather-proof Dispenser Garden Pack – Protect your garden for up to 5 months against deer, woodchuck, groundhog, raccoon, rat, gopher, possum with our Coyote Urine All Season Garden Pack. It contains 3 – 12oz bottles of Coyote Pee and 2 ten packs of 33Day Weather-proof Dispensers that disperse the scent and protect it from wind, rain and water and a Free PredatorPee® Hat! Total Retail Value: $128 – Your Cost: $103! 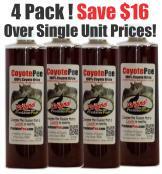 CoyotePee RV Pack for Rats & Raccoons contains (2) 8-packs of CoyotePee Shots, (1) 16 oz CoyotePee Trigger Spray Bottle and (2) 10-packs of ScentTags, Ties and Stakes – Only $99 - Save $10 over single unit prices! Geese, birds, wild turkeys, ducks and other fowl do not have a keen sense of smell. They rely on the combination of smell and sharp vision to give them an early warning of the presence of a predator. That is why we created our PeeCoy. The life-like 2D Coyote PeeCoy Decoy is combined with 12oz bottle of CoyotePee and 12 ScentTags to create the real illusion that a dangerous predator is nearby - birds get the message! Save $15 when you buy 3! Save $60 or more when you buy 6 ore more!- FREE SHIPPING to USA and CANADA! "A few years back my neighbor was in Idaho…my name was mentioned about deer eating my roses. So, that's how I got to know your product Coyote Urine. It seems to be working." "I am very pleased with your Coyote Urine." "The Coyote Urine…has been an effective deer deterrent." "...we have found your Coyote Urine to be effective in deterring deer from around our home..."
"...your Coyote Urine is most excellent. I have tried many other products to control the deer in my yard, none have performed as well as CoyotePee..."
"...I am over-run by deer. A friend gave me a bottle of Coyote Urine. It was the only effective method I have ever used... thank you so much, you have a wonderful product!" "I find your Coyote Urine is the only thing that repels deer from my garden. " "... Coyote Urine worked wonders!" "Thank you. I appreciate your help. BTW, your product has worked extremely well for me last season, and so far this Spring. The uneaten by deer crocuses are a testament to the efficacy of CoyotePee."